“The electronics market is growing constantly and so is the demand for increasingly compact and efficient power electronic systems. 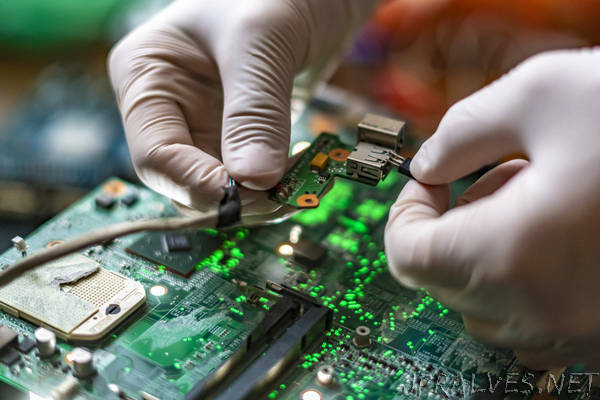 The predominant electronic components based on silicon will in foreseeable future no longer be able to meet the increasing industrial requirements. This is why scientists from the university of Freiburg, the Sustainability Center Freiburg and the Fraunhofer-Gesellschaft have joined forces in order to explore a new material structure that may be better suited for future power electronics. The recently launched project »Research of Functional Semiconductor Structures for Energy Efficient Power Electronics« (in short »Power Electronics 2020+«) researches the novel semiconductor material scandium aluminum nitride (ScAlN). Prof. Dr. Oliver Ambacher, director of Fraunhofer IAF and professor of power electronics at the Department of Sustainable Systems Engineering (INATECH) of the university of Freiburg, coordinates the supra-regional collaboration.